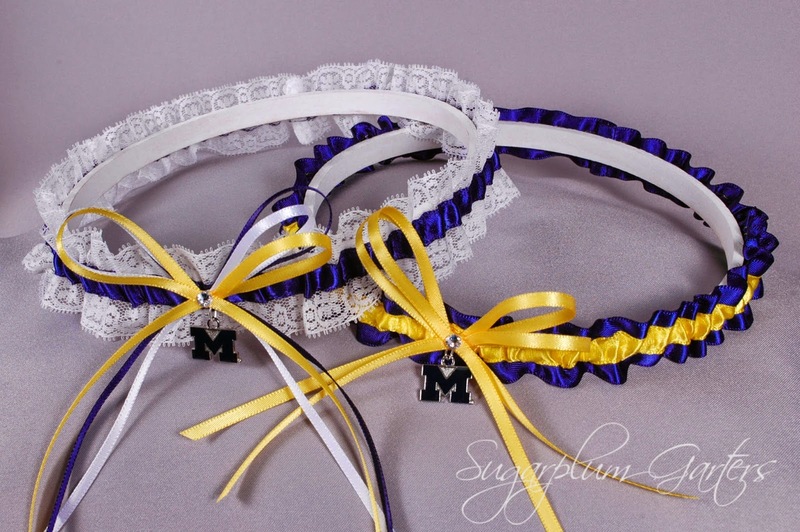 This past week was a busy one with lots of custom orders, including this cute University of Michigan Wolverines wedding garter set for Michigan bride, Lindsay! 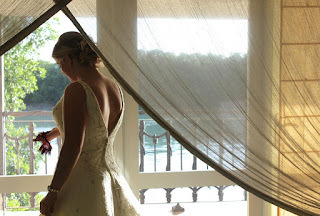 We combined my new lace design with a simple toss garter, and the result was ultra-feminine and adorable! 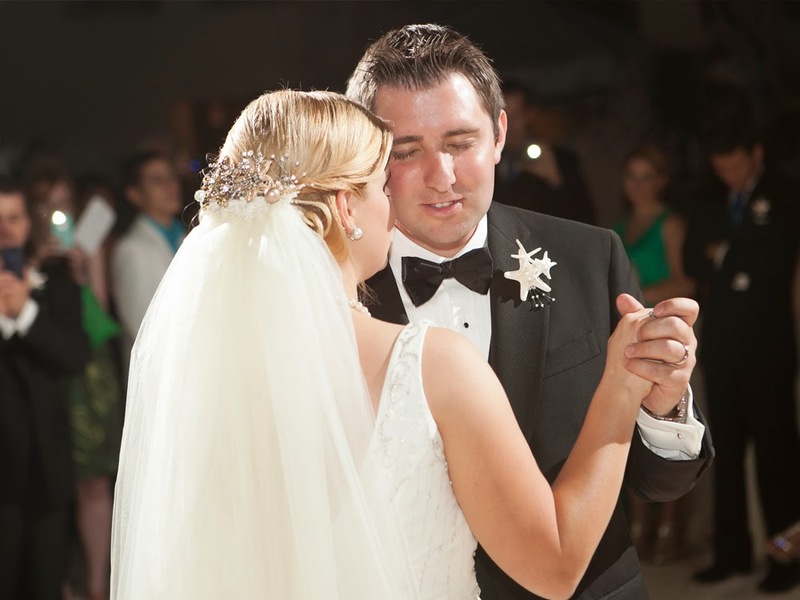 If you'd like to order your own custom wedding garter or garter set, contact me here! 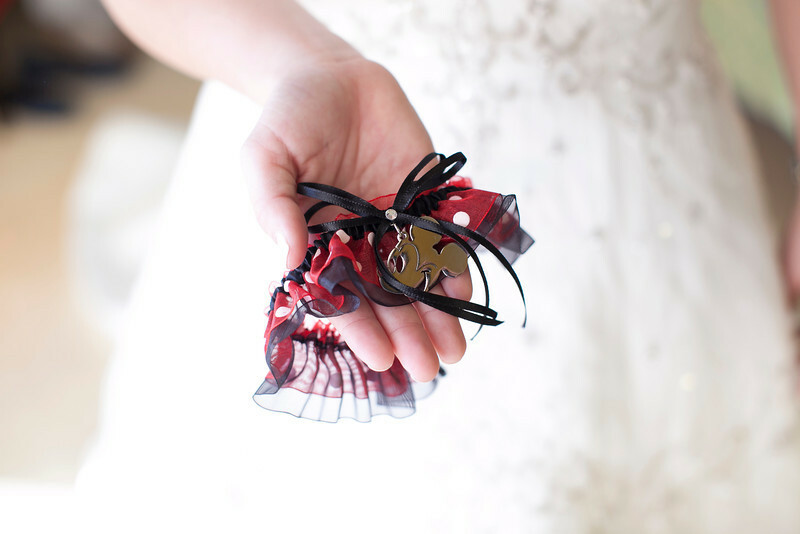 Just had to share this fun custom Chicago Blackhawks wedding garter set that I shipped out today! It's a gift the sister of a bride whose garters I made a few years ago ~ now it's her turn and her bridal shower is this weekend! We mixed and matched my satin and lace garter designs, and I absolutely love how the set turned out! I've always been fascinated by the Day of the Dead and sugar skulls ~ even though they can be a tiny bit morbid, I love all the colors and details included on each skull. 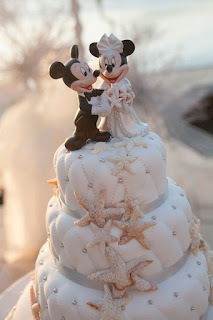 And I had SO. MUCH. FUN. 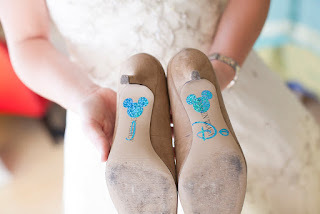 putting together today's wedding inspiration board! 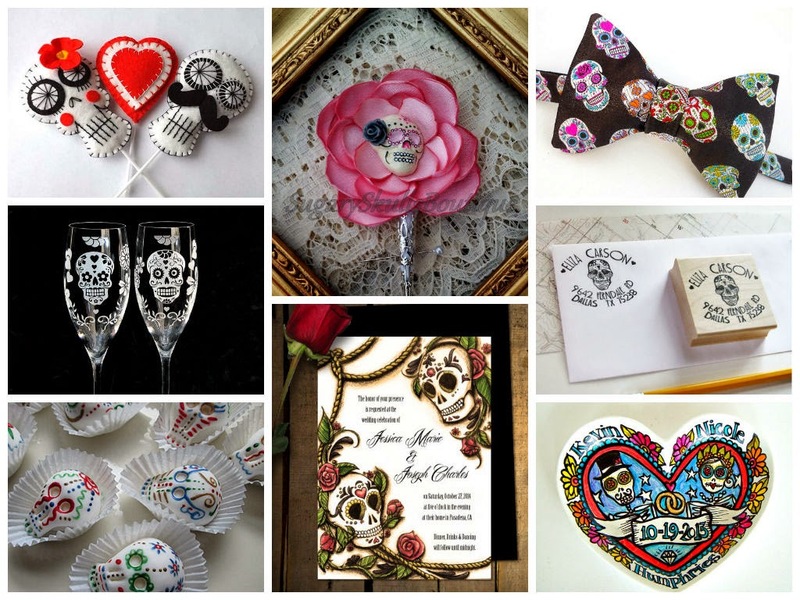 I don't think I could ever persuade my man to go for a Day of the Dead themed wedding, but there sure are a lot of amazing sugar skull wedding accessories out there! 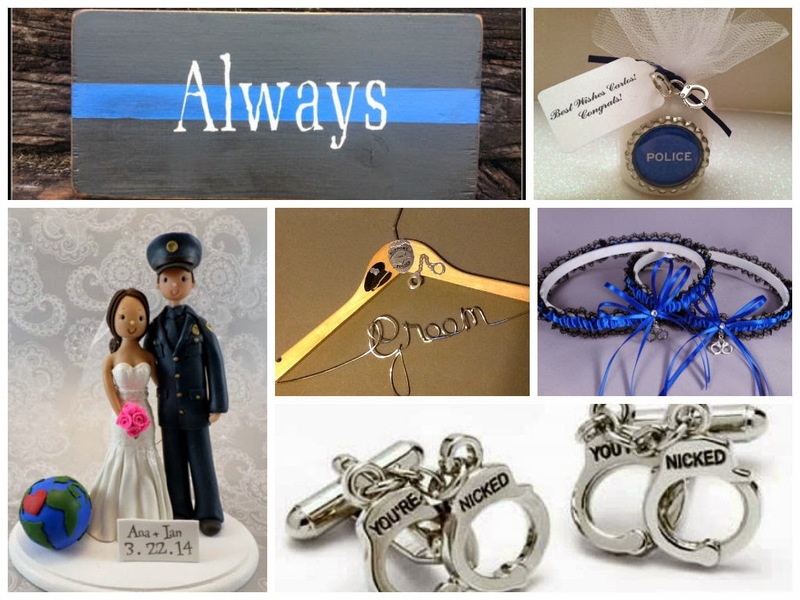 My Thin Blue Line police wedding garters are among my favorites to create, so I thought I'd whip up a police officer inspired wedding inspiration board this morning! All items found on Etsy!